Safely secure the contents of your bag with this 4 1/2" adhesive tin tie. 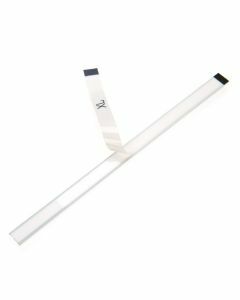 TTA3WH works best with 3" bags and is designed with a double wire encased in white paper. Seal in the freshness of cookies, baked good, and more. Self-adhesive tin ties are ideal for gusset bags. Tin ties are pressure sensitive and easily applied by hand. Adhesive tin ties provide a quick and easy way to close your bag. TTA5WH is our 6 1/2" tin tie that fits a 5" gusset or coffee bag. 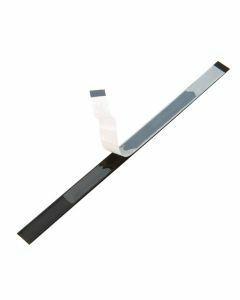 This tin tie is designed with a double wire and an adhesive backing with a peel-off paper strip. The adhesive firmly sticks to your bag for a secure closure. Tin ties are wrapped in white paper for a clean, professional appearance. Self-adhesive tin ties provide a simple way to close your bag quickly. 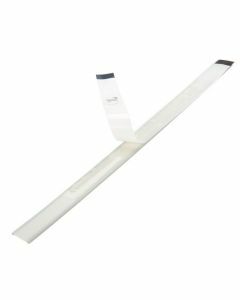 TTA6WH is our 7 1/2" adhesive tin tie and is perfect for sealing 6 inch bags. This tin tie is designed with a double wire wrapped in white paper. The adhesive backing has a convenient peel-off paper strip. Tin ties are ideal for packaging cookies, cupcakes, crafts, and more. 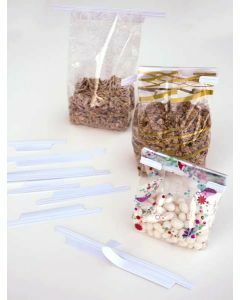 When you need an easy way to close a bag, adhesive tin ties are the perfect solution. The length of this TTA7WH tin tie measures 8 1/2" and is ideal for sealing 7 inch bags. 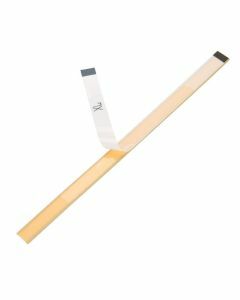 These peel and stick tin ties come with an adhesive backing and a double wire wrapped in white paper. Use tin ties to seal baked goods, favors, gifts, and more.